Tumblr is the best micro-blogging platform. Because this is the only platform which is social media integrated blogging platform. That means you getting both blogging and social platform together. When you post in tumblr blog, this automatically share posts to their social platform. Tumblr have other social media sharing also. So this is the best micro-blogging platform 2016. For better blogging experience you must have to select best blogging platform that can perform for you with better look and feel. A better outlook of your blog can help you to blast , your reader will feel more comfortable and friendly if you use a better theme for your tumblr site. Single or multi-layout whatever it is, you should choose a simple and eye catchy design for your site. Searching for best wordpress theme? 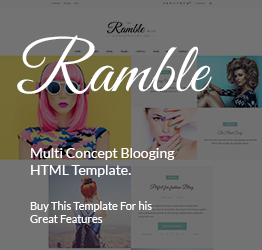 SoftHopper Released Ramble MultiPurpose Magazine Theme with 100 Plus Layout. Check it here! We have thousands of tumblr themes in the year 2016. But searching and finding a best tumblr theme can be a nightmare. Because searching theme online and reading the feature from that themes website will be really time worthy work. For minimizing your hardship to choose best tumblr theme 2016, we are writing about some cool tumblr themes. By researching online we found these as best tumblr themes this year. We highlights the features and outlook all together. Hope this will help you to compare and to choose better one for you. If you are a micro-blogger, then you must should choose tumblr platform. Tumblr blogging platform is linked with their social media, this can help you to get viral your posts easily. Indy : If you are searching minimalist , simple and amazing design for your site, than this can be a good choice of you. Typography of the theme like fonts, layout, media adjustment helps author to make his content nice looking and reader react awesome always. Vienna: Vienna is a tumblr theme developed by zen-themes with lot of customizing features. This cool theme have four different demo, you can check all of them by pressing preview button before download. Advance management option for features like header, animation , social icons, photo caption , next / previous button , background , page divider etc. You can ON/OFF from setting area. Photo overlay , post background , post description all area you can manage and choose best color for you with color picker easily. Fonts and borders you can change from dropbox. Fonts used from google font service, so you can choose all beautiful fonts from your dashboard easily. Zen-themes are premium theme seller for different platform or CMS also, So you will get best features for your themes if you use this Vienna theme. Voice: Voice is single column tumblr theme. For its responsive layout whatever image you post on your post, it will be adjusted easily. This displays as slideshow on your post. For better display of your images, you can ON or OFF this slideshow from control Panel. This theme have special features for Japanies people. They can use Janapines date format from control panel. Social media’s can be added from dashboard easily. You just have to put your social media URL in url box. This tumblr theme developed by kazunori-miura . Revolve : Revolve is another cool tumblr theme developed by zen-themes. From four different layout you can choose better one for you. Black, white, gray , purple any theme color you can choose and install easily from dashboard. Stunning cover photo, Simple design, multi-layout, header single layout but other area divided into multi-layout, You can select layout to adjust your theme typography. Color Selection options also available. Feature like text input and customization options help to make a gorgeous microblogging site for you with less or without stress. Pop Gallery Lite : Pop Gallery Lite is another free tumblr theme especially designed for portfolio website. You can use this cool theme to make your online shop display also. Like restaurant , boutique shop or other company shop who wants to display their products online. Thumbnail feature makes the post beautiful to display. All thumbnails only display as gallery and people can choose post by title and images also. Another feature we can add is unlimited scrolling. More you will post, tumblr will add auto scrolling until your posts ends. Social sharing option auto built in. This will help to share your posts and images without hassle. Tumblr itself is a big social media, whatever you will get other social buttons also to share your posts. You can add support page easily. Theme developed by Themelantic. Calypso : Calypso is video streaming tumblar theme. For making video streaming micro blog you can choose this awesome streaming theme. Its multi-layout responsive tumblr theme. You can stream your videos from third-party website. All easy and nice customizing option helps people to understand and managing all elements properly and easily. No need to be technical for managing this awesome theme. From dashboard you can upload or add videos and manage all things like color, height set, width set easily from control panel to make your online video streaming site. Telpher : An awesome theme with grid system included. This theme allow sidebar. 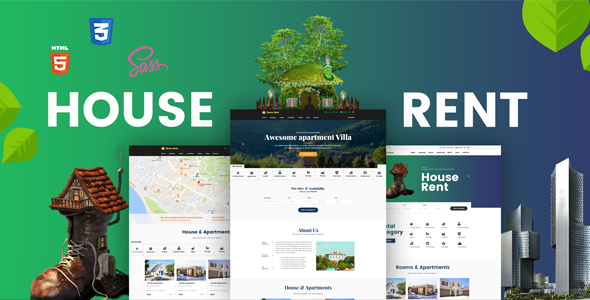 Customizable background color helps owner to make the site more beautiful. Advance griding system shows post until you reach end of the post. Ajax scrolling included. Licorice : Licorice theme have left and right widget support. Admin can use this sidebars to make the site more functional. Its a multi-color tumblr theme. Post sections allow header image or cover photo like facebook. As tumblr have social platform like facebook and its a microblogging platform. We can Use this theme to get more social facilities. Disqus comment system included. Lookbook : If you are searching a free tumblr theme with premium features, than Lookbook can be a good choice for you. Leftside bar allow to add your exact information with nice style and right post area allow people to post your contents with nice format. Image can be used as background, big images should be selected or small images will be repeated to cover background. 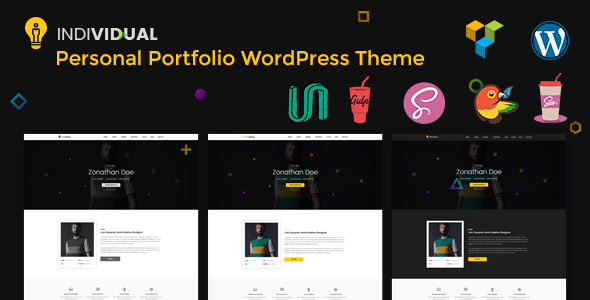 Stamp : Zen-Theme team are specilized in developing tumblr themes. Its another wonderful tumblr theme developed by them. Lets look the theme features. Inkhorn : Inkhorn is a typography focus theme. Its main weapon is readability. Awesome font combination and simple design made the theme more powerful look. BigGuy: Its a full screen responsive theme by gregsuj . Though theme is free, you can use all features like google analytice and seo properties to improve your seo score. Optica : Another free theme focused on simple design and customizing option. Different grid system allows to post your images as gallery or you can choose column layout also. Effector : Effector is a multipurpose tumblr theme can be used for blog , image gallery , company website or small business. Different layout allow multiple look for your site. Easy control panel helps to control your site very easily and effectively. Editorist : Editorist is a content focus theme for creative writer. To format posts properly this awesome theme helps a lot. As a blogger if you choose tumblr platform, than this can be your ultimate choice to develop your microblog with awesome look. Luci : Luci is one colum high resulation tumblr theme. There have another layout called default. But if you like full width blog layout , you can choose one colum layout. Paper Stacks : PaperStacks is a portfolio based tumblr theme. This theme allows author to publish all work or media as gallery. For making portfolio theme this can be a great example. Silverlight : In header if you want awesome slider like OwlCarousel that will make your site awesome, then you can choose SilverLight theme for you. After Slider part there have nice blog option, all posts display as breadcome. So the outlook of the site look awesome. Yummy: Yummy is a portfolio base responsive theme. If you wish to build a responsive restuarant website with tumblr theme 2016, then Yummy can help you to make a stunning restaurant website. As integrated with tumblr social media platform and have option to share on other social media, there have big chance to make your site popular on social media and getting good number of targetted visitor to your website. ESSSSE: ESSSSE specially designed for magazine websites. Its blog style website, displays posts with thumbnail images. Responsive design makes the site easy accessible and user get better experience from mobile device also. Harbour : Harbour is a tumblr theme with nice header , widget section , Left archives and footer. You won’t believe Harbour is a free tumblr theme with such nice amazing features. There are lot of features included to customize your blog as your desire. Lets Go Pink : Lets Go Pink is girls love tumblr theme. If you wish to create a website based on girls product, than Lets Go Pink tumblr theme can help you doing this. Its simple to create a nice tumblr website with Lets Go Pink theme without hassle. Select theme and change from documentation. Tough the core color is pink , you can choose different colors from dashboard too. Skyfall : Skyfall is colorful tumblr theme specially designed for photographers. Display your images with nice grid options and make your site looking awesome. Choose best color from dashboard to match your site typography. Tumblr is best microblogging platform. Main advantage of this platform is social media integrated. Tumblr is basically a social platform and they have microblogging platform integrated. So you can better use your contents to spread it out in social media. In tumblr blogging platform, there have other social sharing button integrated also. So you can cover all social media from one single platform. Above discussed tumblr themes are considered as best tumblr themes 2016. So you can pick one and make a stunning microblog website for you. choice for you could very well be a turtle (or terrapin, if you’re in the United Kingdom). out as they are supposed to on their website and or Facebook page. This clause is ridiculous for several reasons:.